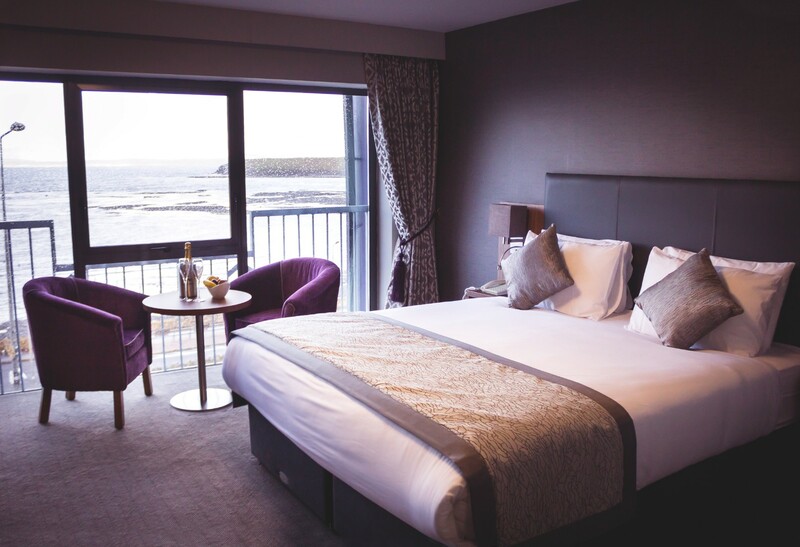 The Allingham Arms is a four-star hotel situated in the seaside town of Bundoran, County Donegal. It is located just steps from the beach, town centre and numerous other amenities, making it an ideal choice for accommodation in the North West. 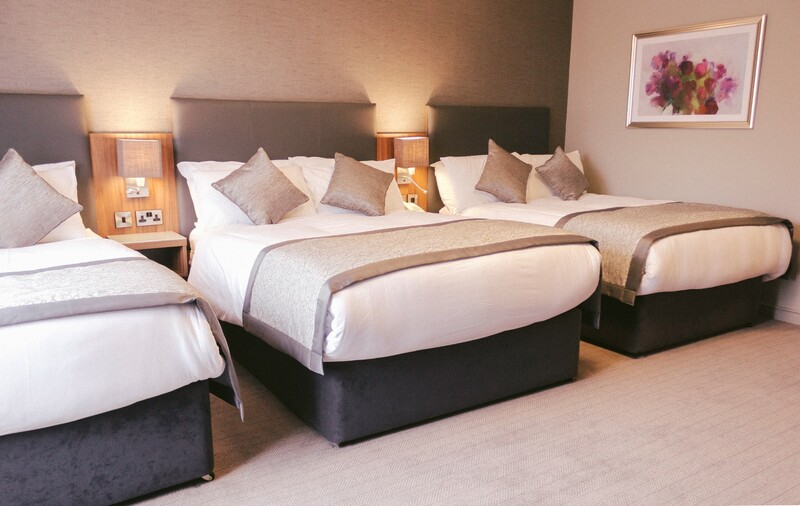 Upon arriving, guests will be greeted by the friendly and helpful staff before settling into their comfortable rooms. 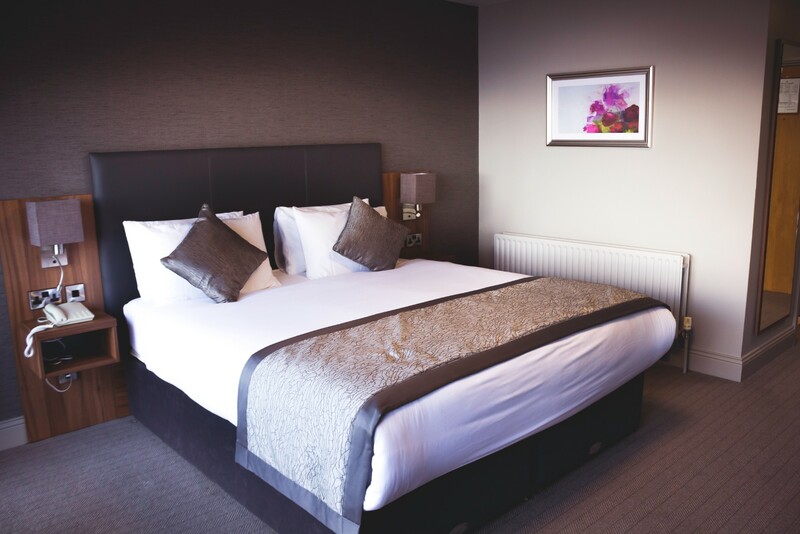 All 132 bedrooms are ensuite with direct dial telephone, TV, hairdryer, and tea- and coffee-making facilities as standard. During their stay, guests will find two on-site dining options. 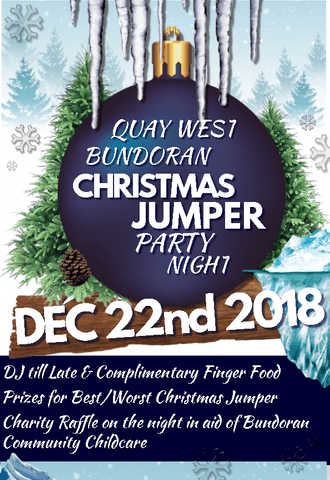 Quay West is a stylish cafe-bar that invites people to unwind with a coffee by day or drink by night. The locale also serves a daily bar lunch and snack menu. For a more lively drink, there’s the Coolmore Bar, which hosts traditional Irish and country entertainers nightly throughout the summer season. 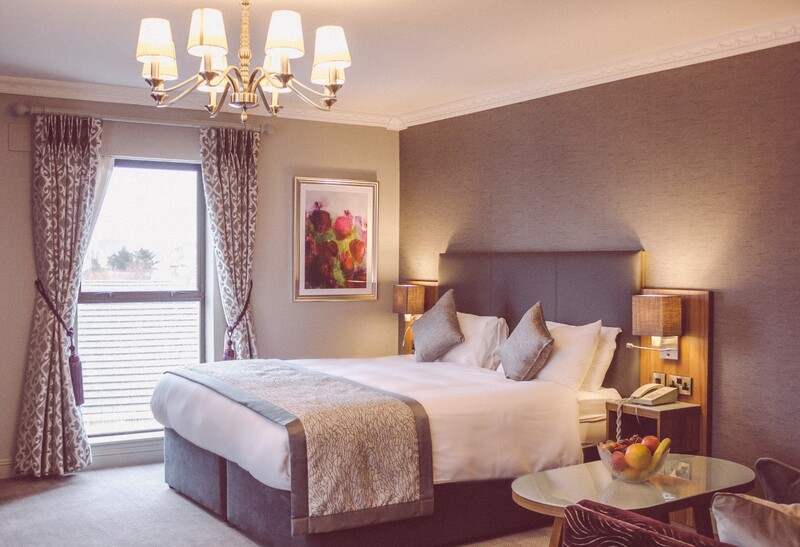 Guests staying at the Allingham Arms Hotel will experience the highest level of comfort, service, cuisine and entertainment purely for your enjoyment. 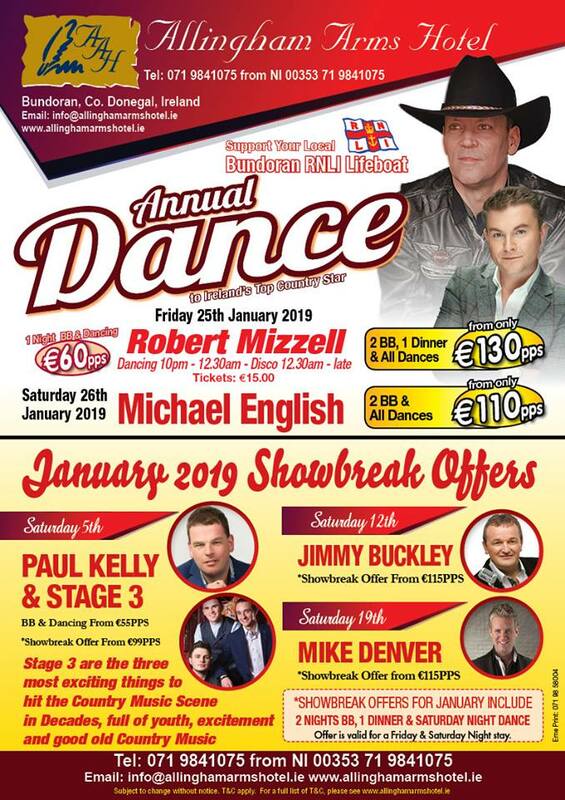 The Allingham Arms Hotel has been described as the “Capital of Country Music” with well-known acts such as Jimmy Buckley, Derek Ryan, Robert Mizzell, Mike Denver and Jim Devine making a regular appearance, all at attractive and affordable rates. Enjoy lazing in the beautiful surroundings, all of which is only a minutes’ walk away from the beach, town centre, Water world and numerous other amenities.